What comes first in digital transformation—the culture or the innovation? 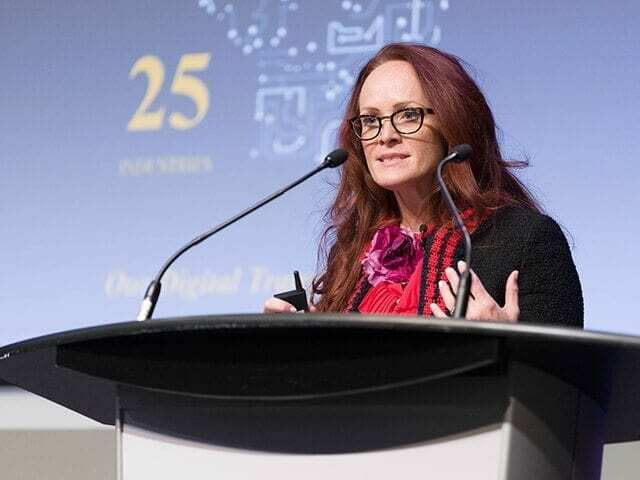 Leagh Turner was a speaker at our inaugural MaRS Verge event on March 1st. For more information on upcoming MaRS Verge events featuring the latest on corporate innovation and intrapreneurship, be sure to subscribe to the Verge Insider. Recent IDC Canada research found that only 17% of Canadian businesses have a full digital strategy in place, despite overwhelmingly knowing they need one. So what’s going on? One theory is that many businesses still don’t know or agree on where and how to start on digital, and that a massive, unified cultural shift across the business is needed for that to happen. Recognize that cultural change starts with a shift in mindset at the top, but that it is only the start. The idea that culture is defined solely by the C-level is old-school. Instead, have the C-level come up with a simple, clear message that is organically cascaded down the business, making it more likely to be shaped into a concept that all employees feel like they’re a part of. With time, this cultural concept will reflect where you intend to go as a business. Get the whole organization on the same page concerning what digital transformation means, and what can be done. Digital is a big concept with huge implications. To take specific action, it has to be broken down into logical pieces. This helps to start the culture of collaboration, where teams know what they need to work toward. For example, traditional department silos are less helpful than having cross-functional teams working on digital initiatives for omni-channel customer engagement or workforce engagement. Encourage a fail-forward mindset. Have teams focus on “passion projects,” where you’re more likely to see an intrapreneurial spirit come out, or invest in “innovation” labs to move budget away from “keeping the lights on” and toward improving the business. Also, put as many people as possible in front of the customer, which helps them to understand the evolving market environment and have a curious attitude. All of this helps employees feel like they are the disruptors, rather than being disrupted themselves. When innovation does start happening, create momentum. Changing a culture is about continually highlighting the small wins, forcing a change in attitude that becomes ingrained in employees. This is especially important for people who have been around for 20 to 30 years and have deep-set ideas about what the business is striving for. Realize that strategic partnerships play a big part in changing company culture. Most businesses can’t do everything on the inside, so they rely on the influence and expertise of tech vendors who can be strategic digital transformation advisors and act as an extension of the company’s team. That outside inspiration is a vital part of getting an organization thinking and acting differently. My own experience of being part of a leadership team at SAP is that effecting a cultural shift is proof that established companies, regardless of size, can innovate and have a unified digital culture. As a global organization of 77,000 people, we have collectively adopted a culture of inspiring each other to go further by nurturing a “no limits” mentality. This means breaking down silos, building bridges between teams and using successes to shine a light on how our culture is changing. It’s making us easier to work with and more ready to embrace risk.